TreasuryONE said in a note to clients earlier that the rand traded weaker in opening trade after changing hands at R13.88 levels on Thursday. The rand closed at R13.94 to the greenback on Friday afternoon. The day's range was R13.91 to R14.09. This after the rand opened at R13.99. It said the local unit had weakened due to poor mining and manufacturing production data on Thursday, which had dampened rand sentiment and "stemmed the currency's recent strong run". OVERVIEW: US stocks jumped to a six-month high after JPMorgan Chase & Co. kicked off bank earnings on a positive note and Chevron's latest deal sparked a rally among energy producers. Treasuries fell and crude topped $64 a barrel in New York. The S&P 500 pushed through the key 2 900 level for the first time since early October, closing within less than 1% of its all-time closing record. JPMorgan climbed after topping estimates for most income metrics, while Walt Disney surged to a record after it announced a new streaming service, dragging down Netflix’s shares. Anadarko Petroleum soared along with shares in its competitors after Chevron agreed to buy the energy producer. Chevron slumped. The 10-year Treasury yield pushed to the highest level in nearly a month, while the dollar gave back Thursday’s gains to trade at the lowest in two weeks after China’s trade and lending signaled that the country’s on stable economic footing. Copper prices were poised for the biggest increase this month. The rally in equities since late December had been struggling for momentum over the last week amid renewed trade tensions and reports of slowing global growth. Earnings and Chinese data Friday helped quell those concerns. Traders will now be looking to companies to provide the next kicker as the reporting season in the US gathers pace. Elsewhere, the pound reversed Thursday’s decline after Prime Minister Theresa May accepted the European Union’s offer to push the Brexit deadline out to October. The S&P 500 Index increased 0.7% as of 09:51 New York time. The Dow Jones Industrial Average rose 1%. The Stoxx Europe 600 Index rose 0.1%. The MSCI Asia Pacific Index advanced 0.1%. The MSCI Emerging Market Index added 0.1%. The Bloomberg Dollar Spot Index declined 0.3% to the lowest in more than two weeks. The euro jumped 0.6%, the biggest increase in 11 weeks. The Japanese yen fell 0.2% to 111.93 per dollar. The MSCI Emerging Markets Currency Index rose 0.1%. The yield on 10-year Treasuries rose five basis points to 2.54%. Germany’s 10-year yield gained five basis points to 0.04%, the biggest advance in more than a week. Britain’s 10-year yield rose five basis points to 1.195%. Walt Disney surged to an all-time high on enthusiasm for its coming Disney+ streaming service. The platform, which debuts November 12, is priced at $7 a month in an aggressive challenge to rival entertainment giant Netflix and others in the crowded field. Investors cheered the strategy, sending Disney shares up as much as 11% - the biggest intraday gain since May 2009 - to a record $129.85 in New York trading Friday. Netflix dropped as much as 2.1%. The company unveiled the service Thursday on a sound stage used to make the original “Mary Poppins,” delivering an Apple-style presentation of the online product. The platform will be several dollars less than Netflix’s most popular plan, which runs $11, and will weigh heavily on Disney’s finances. Disney+ isn’t expected to break even for about five years. Beyond the price and technology, the service will live or die based on its content - and that’s where Disney made a big statement. Disney+ will feature an arsenal of kid-friendly programming, including 13 classic animated movies, 21 Pixar features, original series, and material from its Marvel and Star Wars franchises. “We are confident this is a product people are going to sign up in droves to have,” Chief Executive Officer Bob Iger said in a Bloomberg Television interview with Emily Chang. Disney+ will begin rolling out to the US, western Europe and Asia in the first fiscal quarter, near the end of the calendar year. It will then arrive in eastern Europe and Latin America a year later. Disney plans to spend $1 billion on streaming programming in the next year, and it doesn’t expect to make a profit until fiscal 2024, when the platform could have 60 million to 90 million customers. Two-thirds of those subscribers will be overseas, the company predicted. Disney+ will also include, “The Simpsons,” acquired in Disney’s purchase of 21st Century Fox entertainment assets last month. Borrowing the show’s cheeky tone, Disney presented a clip of the Simpsons family with a statue of Darth Vader on one side and Iger on a pedestal nearby. A signed photo of Rupert Murdoch - the billionaire mogul behind Fox - was in the trash. There was a “Welcome Synergy” sign above.“I salute our new corporate overlord,” Bart Simpson told his family, while holding Disney mouse ears. Disney’s newest theatrical films will head to the new streaming platform after their runs in movie theaters and home video. That includes “Captain Marvel” and the upcoming “Avengers: Endgame,” “Aladdin” and “Toy Story 4”. The company previously had deals with Netflix and others to offer its content, but Disney gave up those partnerships - and the revenue - to make its own service more desirable. At $6.99, Disney+ also is beating a comic-book rival: AT&T's DC Comics introduced a service at $7.99 a month that includes material from characters like Wonder Woman, Batman and Superman. The new product isn’t Disney’s only streaming platform. It acquired majority control of the Hulu TV service with the $71 billion Fox deal, and it’s now considering whether to expand that product overseas. A Hulu price cut, which lowered its entry-level, ad-supported version by 25% to $6 a month, helped bring a surge of customers, Disney said. Hulu expects to double its ad revenue over the next few years. Disney also has the ESPN+ online sports service, which will get a Latin American launch, the company said. As it expands, that product will have losses of $650 million in the next two years. “You can figure that we will bundle ESPN+ and Disney+ fairly soon,’’ Iger said. With Disney+, the company learned lessons from its UK launch of DisneyLife, which featured online access to albums, games and publications. Stocks turned higher and Treasuries slipped with the dollar on Friday as upbeat credit data from China buoyed markets globally just as the corporate earnings season gets into gear. The Stoxx Europe 600 Index erased earlier losses and US futures extended gains after China reported better-than-expected lending growth, signaling a further firming of its nascent economic recovery. The shift in sentiment came hours before the first-quarter reporting period begins in earnest Friday, with results from JPMorgan Chase & Co. and Wells Fargo & Co. The 10-year Treasury yield climbed above 2.52% and the greenback weakened versus most major currencies, particularly against the euro. The rally in equities since late December has struggled for momentum, with a global gauge of stocks failing to break above a six-month high reached last Monday. Traders are now looking to company earnings to provide the next kicker as the reporting season in America gathers pace, though concerns about a global growth slowdown linger after central banks in Europe and the US warned about the risks. “The first quarter was a blowout,” said Wei Li, BlackRock’s head of iShares investment strategy in a Bloomberg TV interview. Elsewhere, West Texas oil futures rose and headed into their sixth consecutive weekly advance, the best streak since 2016. The pound was steady after Prime Minister Theresa May accepted the European Union’s offer to push the Brexit deadline out to October. The Stoxx Europe 600 Index fell less than 0.05% as of 10:33 London time. Futures on the S&P 500 Index rose 0.4%. The MSCI Asia Pacific Index rose 0.1%. The MSCI Emerging Market Index rose 0.2%. The Bloomberg Dollar Spot Index decreased 0.1%. The euro gained 0.5% on the biggest climb in more than three weeks. The Japanese yen fell 0.2% to 111.89 per dollar. The MSCI Emerging Markets Currency Index rose less than 0.05%. The Indian rupee fell 0.4%. The yield on 10-year Treasuries rose three basis points to 2.53%. The yield on two-year Treasuries rose two basis points to 2.37%. Germany’s 10-year yield rose three basis points to 0.02% on the biggest advance in more than a week. Britain’s 10-year yield rose two basis points to 1.171%. Anglo American announced on Friday that Norman Mbazima, deputy chairperson of Anglo American South Africa, is set to retire from Anglo American after 18 years. Anglo American said in a statement that Mbazima will step down on June 30. Mark Cutifani, Anglo American CEO, said Mbazima had made an "exceptional contribution" to the mining giant’s company. 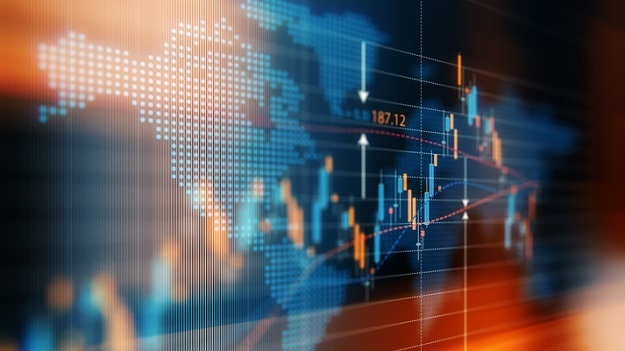 Bianca Botes, Corporate Treasury Manager at Peregrine Treasury Solutions said that an unexpected rally by the rand took the market by storm this week. "Although the local unit has been largely stable and edging stronger, the six-week high witnessed during the week took even the biggest rand bulls by surprise as the local environment remains all but sound," she said. By 09:43, the rand was trading at R14.04 to the greenback. "Each day in the local political landscape brings about fresh information of the rot and the depths that SA had reached, with the latest round implicating ANC secretary-general Ace Magashule. "One cannot help but wonder when reality will finally catch up with the local currency. With the general election a mere four weeks away, the rand remains largely driven by global factors with very little attention being paid to the onslaught of both negative political implications as well as poor economic data. "A strong performance by commodities and progress in the US and China trade negotiations – now reaching the final stages – have contributed to a pro-emerging market environment. "This combined with Moody's statement earlier this month that SA’s current rating of Baa3 was a fair representation of the local investment environment has sent yield seekers straight to the ZAR as a proxy for emerging market exposure. "After being stuck in the R14.12 to R14.20 range without any impetus to either side, the rand managed to punch through the key R14.00/$ mark with ease on Wednesday as markets geared up for dovish Fed minutes. "Trading as low as R13.89 at one point, the rally struggled to keep the momentum going and returned to the R14.00 mark on Thursday. Global economic activity as a whole is in quite a dire state and South Africa is no exception. "This week saw the SACCI business confidence index slip once again to 91.8 points in March, while gold, mining and manufacturing production retracted by 20.6%, 7.5% year-on-year and 1.8% month-on-month respectively," she said. Asian equities traded mixed after US shares showed little direction ahead of corporate earnings and following data confirming the economy remains on solid footing. Treasuries steadied. Japan’s Topix index retreated with shares in Hong Kong and Shanghai, while a report of impending cost cuts at Australia’s largest bank lifted stocks in Sydney. Futures were flat on the S&P 500 Index before the first quarter reporting period begins in earnest Friday with results from JPMorgan Chase and Wells Fargo. The 10-year Treasury yield stayed below 2.50% and the dollar steadied. The euro pushed higher. It’s been a topsy-turvy week for global equities, with the rally since late December showing signs of fatigue. Company fundamentals could provide the next kicker as earnings season in America gathers pace, though concerns about global growth abound with central banks in Europe and the US week warning about the risks. “Earnings season is still to come and that’s going to be really interesting,” Steven Glass, Sydney-based fund manager at Pengana Holdings, told Bloomberg TV. Elsewhere, oil pared losses in the wake of burgeoning US crude supplies and a cautious view on demand. The pound held losses as Prime Minister Theresa May accepted the European Union’s offer to push the Brexit deadline out six months. Steinhoff International Holdings said its French furniture retail unit Conforama Holdings SA has raised a total of about $356m to ensure the stability of its capital structure and operations after debt rose and revenue fell. As at the end of December, Conforama’s net financial debt was 1.72bn euros, outstripping its equity, Frankfurt-listed Steinhoff said in a presentation on its website on Thursday. The market value of Conforama’s real estate was valued at 1.02 billion euros, according to Steinhoff.